I love to make things that are easy to make but with a big effect. For this t-shirt reconstruction is no sewing required. It’s really easy to make but it looks lovely! You only need a few basic tools to make this t-shirt. From baggy t-shirt to cute shirt: let’s get started! 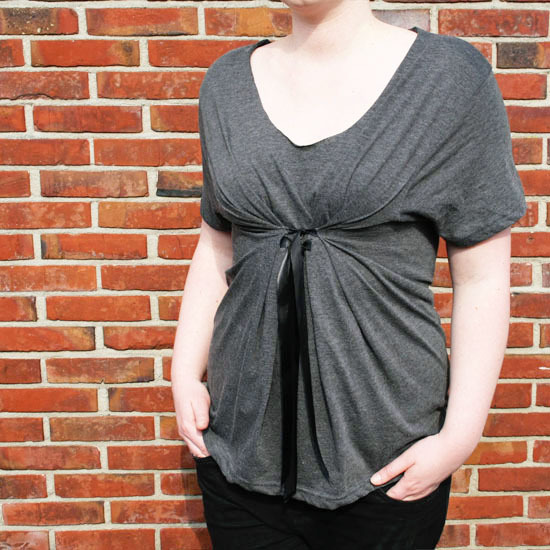 Learn how to make this no sew t-shirt reconstruction after the jump. . .
Look at the image above for directions. First you need to widen the neckline. 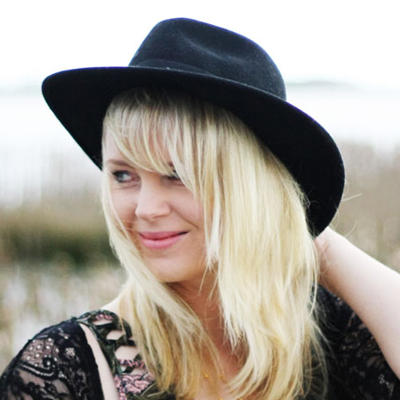 Cut the neckline like you see on the image above. 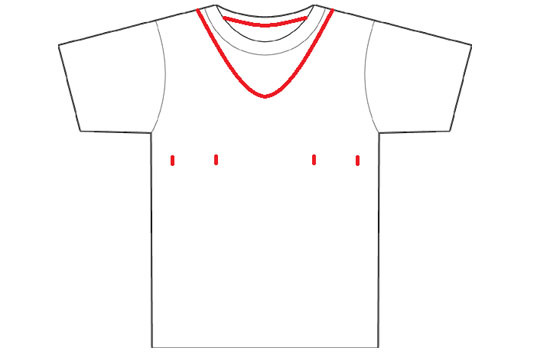 You can use a crayon to sketch the neckline first. Now you need to make four small cuts for your ribbon. The first two cuts are right below the middle of your breasts. The second two cuts are around 4 inches away from that, closer to the sides of your t-shirt. Cut your ribbon in four pieces of approximately 14 inches a a piece. Put the end of the ribbon inside the cuts you just made and glue it to the t-shirt. When the glue is completely dry you can put the t-shirt on and make two knots. First the two pieces of ribbon who are the closest to each other in the middle, then the other two. That’s it!